For some, living in a camper van would be crazy. For others, it’s the best way to see the world and to experience adventures otherwise impossible. That’s exactly the case for Justin Brunelle. 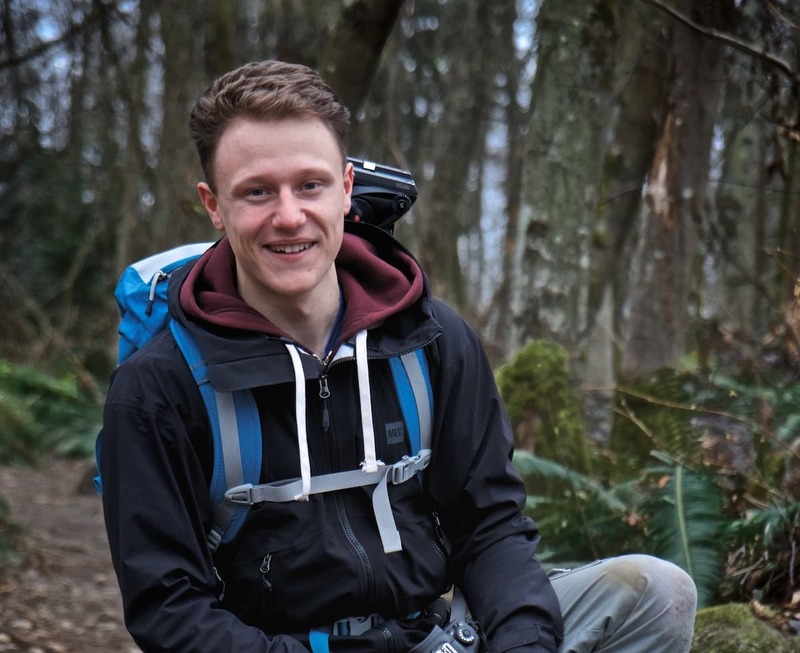 Justin is a full-time filmmaker and YouTuber who focuses on epic adventures and travel content. 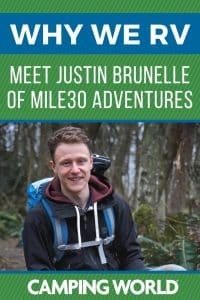 He got his start doing promotional and travel video content for other companies and also chronicles his adventures on his YouTube channel MILE30 Adventures. Why a Campervan, Why be Mobile? Justin’s story of how he ended up living the lifestyle he does is really the story of his professional endeavors. He started Moving Artistry Productions, a film production company in his hometown of Edmonton in Alberta, Canada, shooting music videos, commercials, documentaries, and other pieces of content for a variety of clients. He quickly realized he likes the jobs that required travel the most. This led him to move to Vancouver where he continued hunting these jobs down. He landed several. He’s been all across Canada, to Haiti, Central America, and Southeast Asia, among other places. Justin spent so much time on the road that paying for an apartment in a very expensive city like Vancouver simply didn’t make sense. Now, you should understand something about Justin. He’s no stranger to unique adventures and interesting solutions. 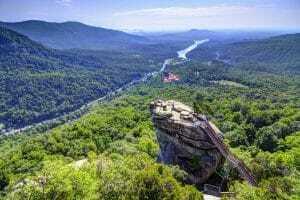 About five years before this predicament, he spent a month on the road traveling down towards Mexico living and sleeping in his Honda Pilot. When he realized it was silly for him to continue paying an exorbitant amount of money in rent in Vancouver when he was only spending about four months out of the year at his apartment, his mind went back to his Honda Pilot. 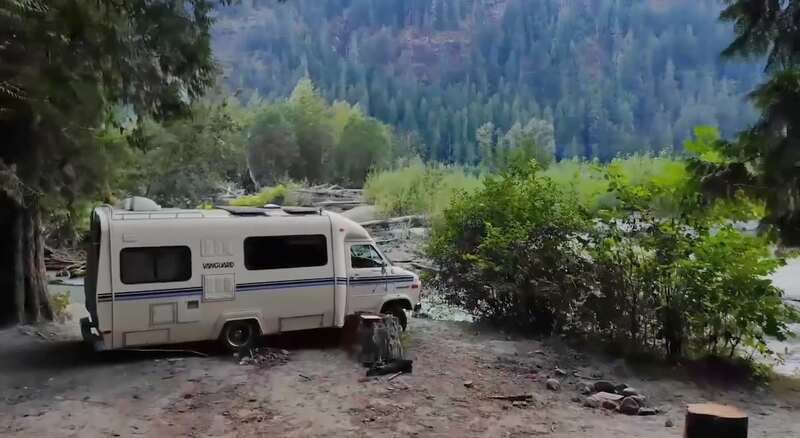 Although he had a little trouble initially finding a van that fit his budget and would work for him, he eventually found a 1989 GMC campervan and began his life full-time on the road. With Justin’s newfound mobility and his low cost of living he was able to visit unique locations and pursue only the jobs he really wanted. His goal was always to make a living from the road. Justin wanted to be able to both live and work from the road, to have the ultimate freedom to do the things he wanted. So far, it has gone well. That’s not to say his trips have been without incident. While Justin could regale you with numerous stories of personal blunders, his most recent incident resulted in a leaky roof. When attaching solar panels to the roof of his camper, he accidentally drilled a little too far. That allowed rain water to stream into his living space. Justin put a tarp over his van until the rain stopped, which took several days. He spent some time with family and friends and came back to his van when the weather passed to fix the leak. Justin said the solidarity of his living arrangement can be mentally taxing. It’s just him and his van. While he said he enjoys having a lot of time to himself. He said he realized he still needs to connect with others, especially when things go wrong. Despite these challenges, Justin is happy. This is a recurring theme I’ve seen time and time again. It’s something we’ve come across on our podcast, too. While living on the road certainly brings some unique difficulties, everyone says the lifestyle is worth it. Justin has been in his van for about 200 days now and has no plans of changing things up. When I asked him if he was going to only do this for a few years or if he would continue doing it longer than that he sounded uncertain. He said he didn’t know what he’d be doing in five year’s time, but he was certain he’d still be living in his campervan in a year or two. Justin said that the challenges he has come across won’t keep him from living the way he wants. He will continue to travel around North America in his campervan. He also said he’ll be traveling abroad with more documentary film work for various clients this year. 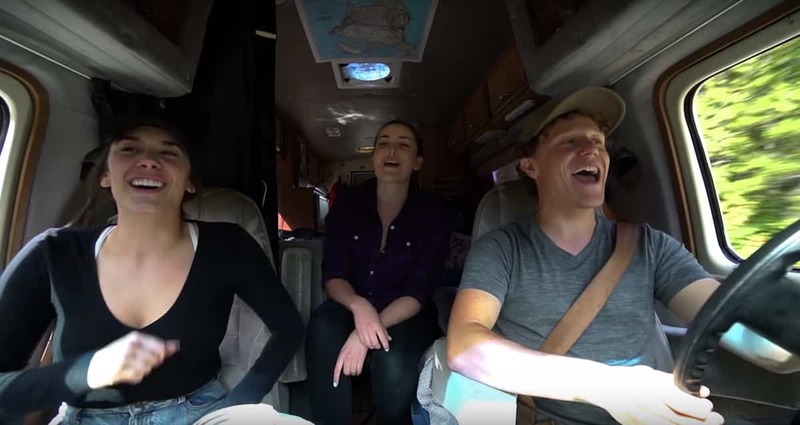 Justin encourages other people to try living in a van or a camper if they think they would want to. He also encourages traveling by yourself even if it’s just a day or two. “You learn so much about yourself,” he said. For Justin, living in his campervan is all about traveling and adventuring, and you can bet wherever he is, he’ll be filming, too.